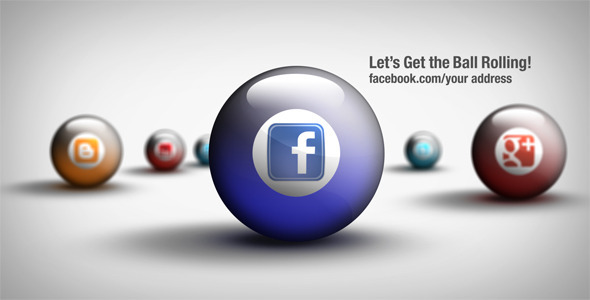 A Fun Social Media Animation you can easily customize, swap & rearrange. Six icons provided or easily add your own. No 3d render, or extra plugins required. Logo elements are Illustrator & Photoshop CS4 files. I found Helvetica Neue 77 Bold Condensed to have an ideal line width and density. It’s not free but relatively inexpensive.